Looking for a cute and simple idea for a Valentine? 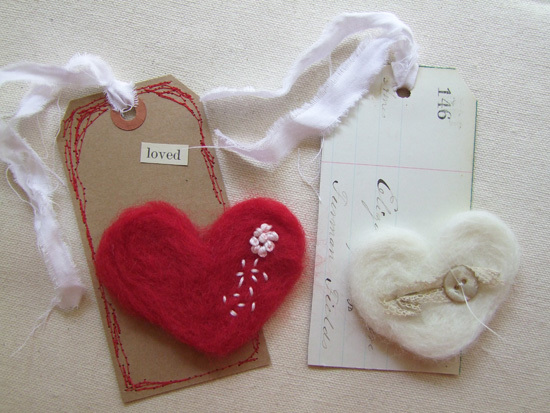 Try making these felted heart tags. 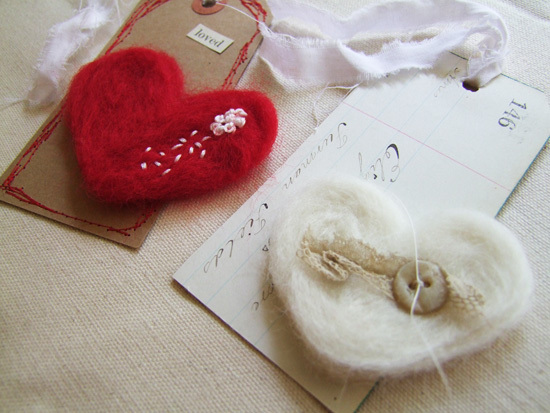 You can purchase felted hearts through Etsy vendors or make your own. A few things you will need: wool roving; needle felting foam; pencil or disappearing ink pen; embroidery thread and needle; scissors; sewing machine; needle felting punch; muslin; tags; words from book pages; small bits of lace; vintage buttons; ledger paper and adhesive. 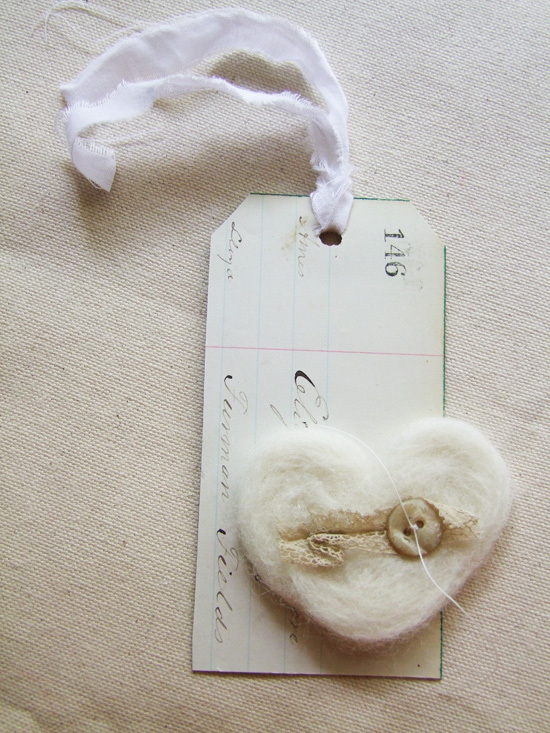 Using a disappearing ink pen, sketch a heart shape onto needle felting foam. Pull small pieces of wool roving and shape within the sketch. Using a needle felting punch, begin "punching" up and down into the wool. Keep the tool upright in order to keep the needles from breaking. Work the shape with your fingers as you work and add more wool as needed. Gently lift the heart shape and turn over. Add some more wool and punch on this side as well. Keep turning over and "punching" until you are pleased with the shape. Stitch a small piece of lace and button to the front of the heart. Cover one side of a tag with ledger paper. Adhere heart to tag with adhesive of your choice. Add muslin to tag top. Make another heart in a different color. 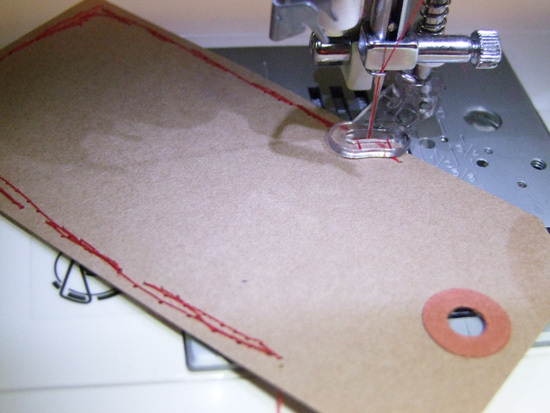 Free motion stitch around a tag with red thread. Add a piece of muslin to tag top and adhere a word clipped from an old book. Ideas for sending your Valentine hearts: make a small muslin bag to hold your tags or create an envelope with wax or parchment paper, stitching around the edges.